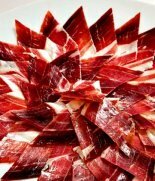 In Spain there are numerous game species, the best ones from the gastronomic point of view. In addition, we cook their meat using our select ancestral recipes, which are famous in European gastronomy, such as the recipes described to be "a la mode d'Alcantara" and the ones used to prepare other innovative dishes, which will surprise those who try them for the first time. 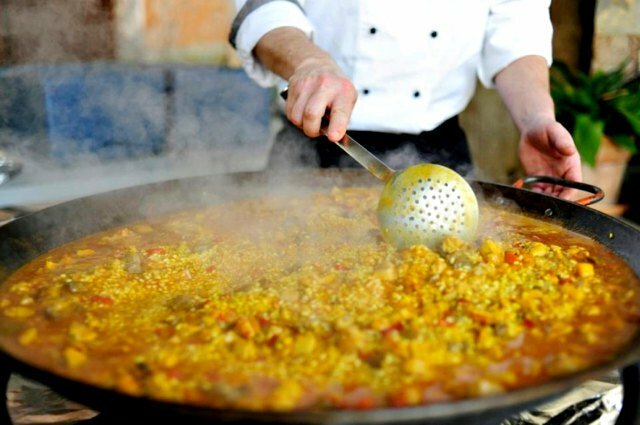 Popular cuisine has artfully managed to bring out the best of the local ingredients, making up a cuisine in which simple, yet succulent dishes are the rule, all with excellent nutritional content, like cocido (meat, potato and chickpea stew), fabada (Asturian bean stew), and paella (Spanish rice dish), as well as all the different dishes that take their names from the pots they are cooked in, like marmitas, potes, pucheros and peroles and others like Spanish omelette and gazpacho (a cold vegetable soup), which in spite of their simplicity, are true gems of world cuisine. Paella , the best known of all Spanish recipes, is different from other rice dishes because to make it all the ingredients are cooked together, allowing the rice to absorb every flavour, so that each grain contains the essence of the dish. There are many different types of paella , yet when it comes to choosing, have either a meat paella (chicken, rabbit, duck) or a seafood one, and avoid the mixed kinds. Unforgettable: arroz a banda.